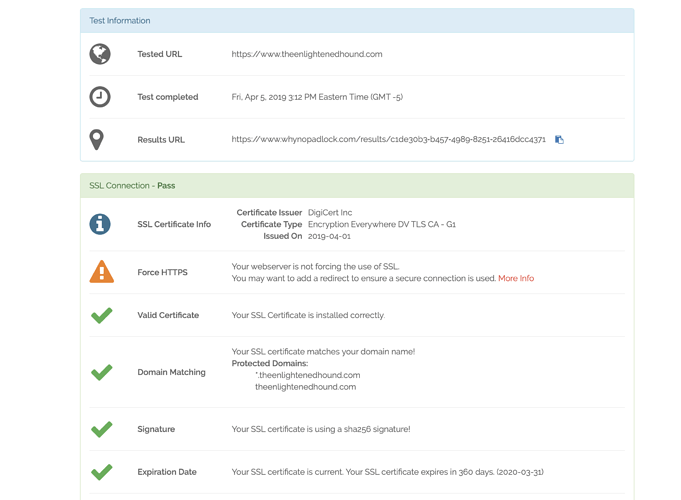 Have just enabled an ssl cert on my website hosted by 1&1. The browser says https but there is no padlock. 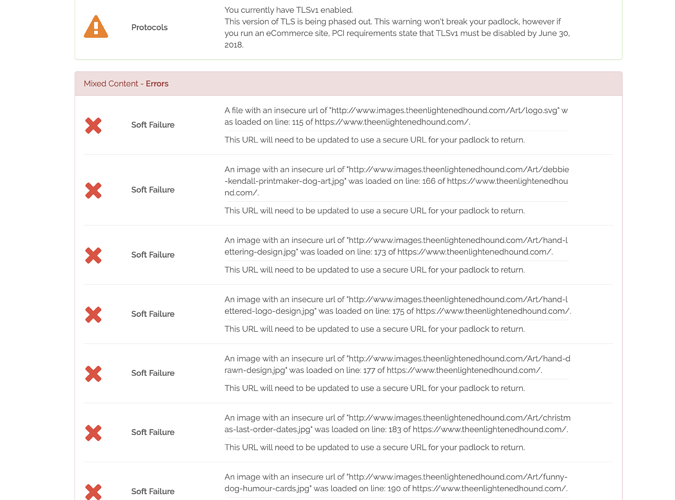 1&1 say that some of my images are not redirecting from http to https and that is causing the problem. I have run the website thru “whynopadlock” and they confirm this issue plus a couple of other things. I have several hundred images on the website and they are all warehoused on my server (in a subdomain) and each image URL is set in RapidWeaver pointing to the image in that subdomain. The URL for all the images is an http address. 1&1 say this doesn’t matter because there is a redirect. If I try and change the image URL address in RW to https then this image is not found (ie appears as a blank with a ? symbol). Despite having hundreds on images on the website (all warehoused in the same subdomain folder) only about 15 images have been singled out as a problem. This is very puzzling… surely either all the images would be a problem or none at all? Is this correct to force a redirect? Any help much appreciated please as 1&1 now say it a web developer problem! Looking at the URL to the page you gave above there are only about 15 or so images referenced on that page. WhyNoPadlock only checks one page at a time. The mixed content warnings you are getting (from WhyNoPadlock) are “soft” warnings and should be fixed but shouldn’t stop you from implementing the SSL. 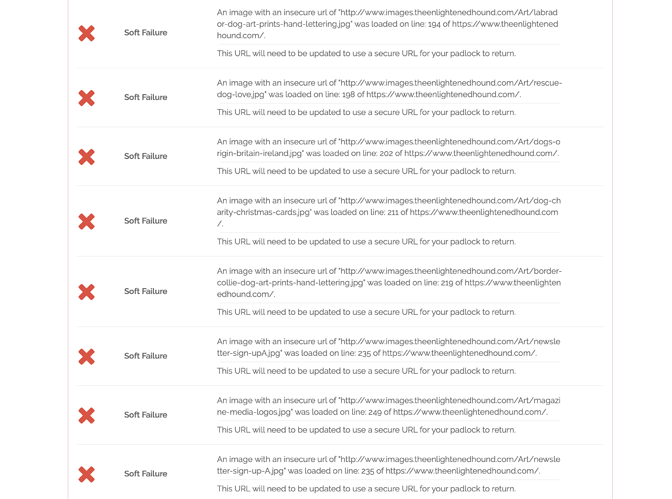 I would check the other pages before working on the redirects. Just make sure you have the .htaccess file in the correct location. As for the Warehoused images being on a separate subdomain, if you want to fix them you will need to get a certificate(these should be free nowadays) for that subdomain copy/move them to the main domain. You would still have to "change the references to them in the RW project. 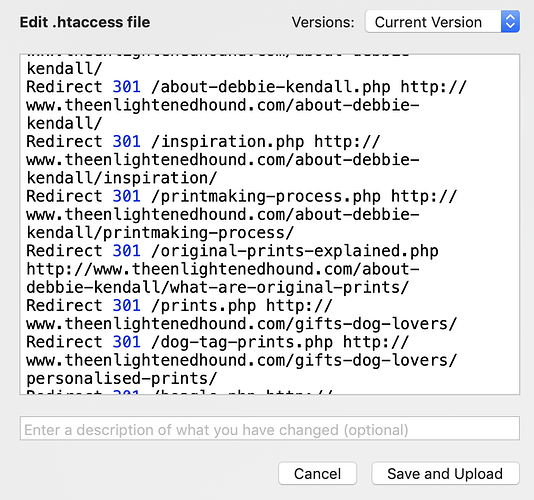 I’m not sure why the images are in a subdomain in the first place but if it is covered by the cert I’ve been given and the redirect is working (hopefully it will now work with your suggested code) then surely the images should not be a problem? With the code I gave you, you don’t need to put a URL in. It will take any non-https request and redirect it to an https request. You can basically use it un-touched on any site. I just checked it seems to work with one caution. 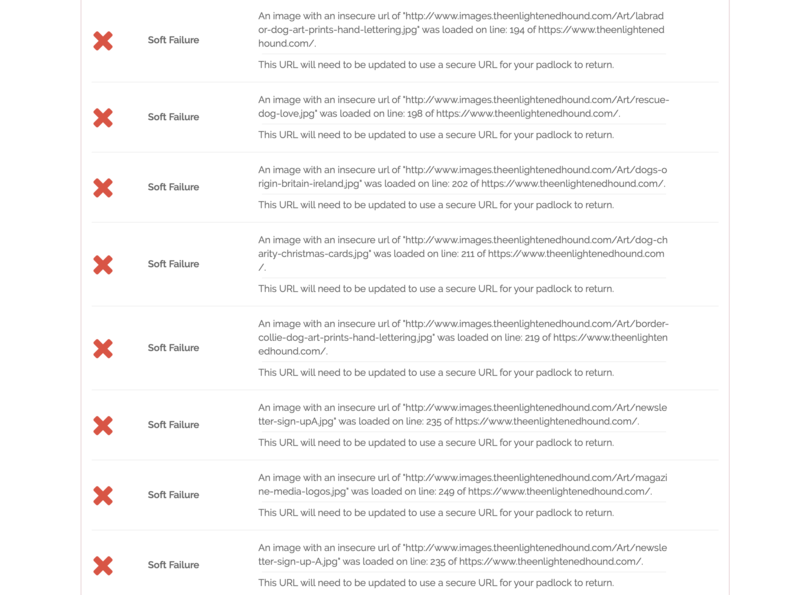 So when you start change image names to HTTPS remove the WWW. Doug - it took me ages to update the URL to all my images as you suggested - and I also used your code to force the redirect - and it has worked (all the pages now have a padlock) and I’m so grateful for your help - A massive thank you! My .htaccess file also has quite a few redirects from when I changed the structure and page names on my website… see attached screenshot - do I need to change the redirect code to https or can I leave them as they are and let the force redirect code handle that? Technically, you don’t have to change them. The rule Doug provided will change those links when the redirect happens. Personally, though, I would change them. The less you rely on rule to re-write the url the better. Something like TextWrangler (it’s been sunsetted but still works and is still on the app store) and simple to use.